At our state-of-the-art Bakersfield laser eye surgery center, Southwest Eye Care and Laser, we use the most advanced technology available today. By utilizing advances in eye care technology we are able to provide our patients with the latest and most cutting-edge vision treatments, while still maintaining the quality of care that is expected of Dr. Gregory A. Stainer and his acclaimed staff. Whatever your eye care needs, you can expect to receive the highest quality of care and the most advanced vision correction treatments available. 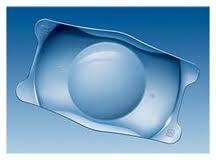 Two such vision correction treatments are LASIK and ICLs (implantable collamer lenses). LASIK is among the most popular and commonly performed treatments for refractive errors today. In fact, LASIK has helped millions of people achieve 20/20 or better vision and completely eliminate their need for eyeglasses and contact lenses. While there are several variations on the conventional LASIK procedure, they all share the same goal: to reshape the cornea with an excimer laser in order to correct the visual errors myopia (nearsightedness), hyperopia (farsightedness), and astigmatism. One of the greatest advances in LASIK is wavefront mapping. Through the use of wavefront mapping, LASIK can be customized to address higher order aberrations. The term “higher order aberrations” refers to errors that are unique to an individual’s eyes. This technology allows us to achieve superior results to those possible with conventional LASIK, enabling our patients to see the world around them more vividly than ever before. Through IntraLase® technology, commonly referred to as bladefree LASIK, we are able to create the corneal flap through which the underlying corneal tissue is accessed with a laser instead of a handheld blade. By doing so, the risk of corneal flap complications is significantly reduced. By combining wavefront and IntraLase® technologies, we can achieve results of the highest standard for our Bakersfield LASIK patients. The technology utilized by Dr. Stainer, including the Allegretto Wave™ Eye-Q laser system, helps patients achieve exceptional results under all lighting situations, including periods of low light, and minimizes the risk of experiencing halos and glare following surgery. Visian Implantable Collamer® Lenses, more commonly known as implantable contact lenses, can be used to restore excellent vision at all distances. Visian ICL® phakic intraocular lenses differ from other ICLs in that they do not replace the natural lenses of the eyes, but rather augment them. For our patients in Bakersfield, ICLs, especially Visian ICL® phakic intraocular lenses, are an outstanding alternative to LASIK surgery. Unlike LASIK and many other vision correction surgeries, Visian ICL® phakic intraocular lenses do not require any alteration of the natural anatomy of the eyes. To determine which procedure will most likely give you the results you are looking for, you must first undergo a comprehensive eye exam. We will discuss in detail all of your treatment options including LASIK and ICLs®. If you are interested in learning more about LASIK, ICLs®, or to schedule a personal consultation, please contact Southwest Eye Care and Laser today. We would be happy to answer any questions you may have.